I’m sure most of you already know about my participation in a team shop called Dollectable. I just want to mention it again for any new followers. 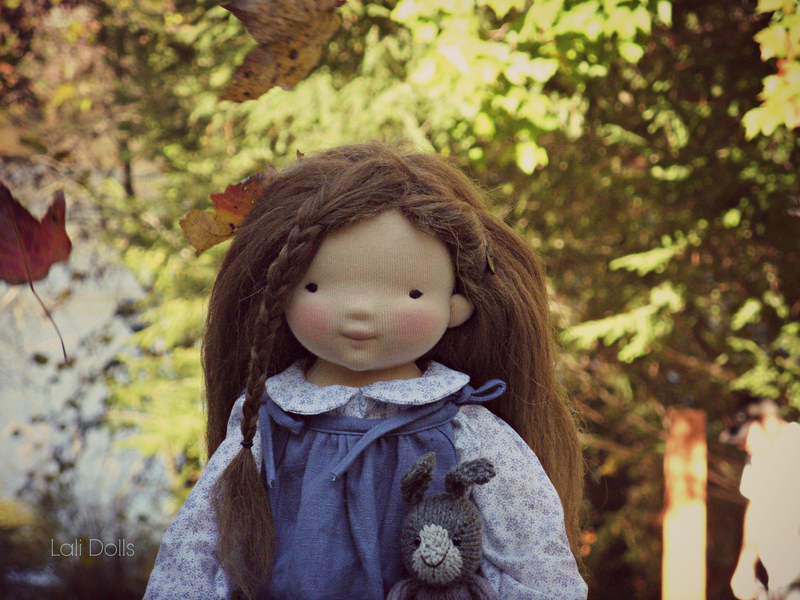 Dollectable is a shared shop between myself and several other doll makers. We list together on the 1st of every month. All of my Ready made dolls are now going in the Dollectable stocking each month and the rest of the month I am enjoying working away on custom orders. 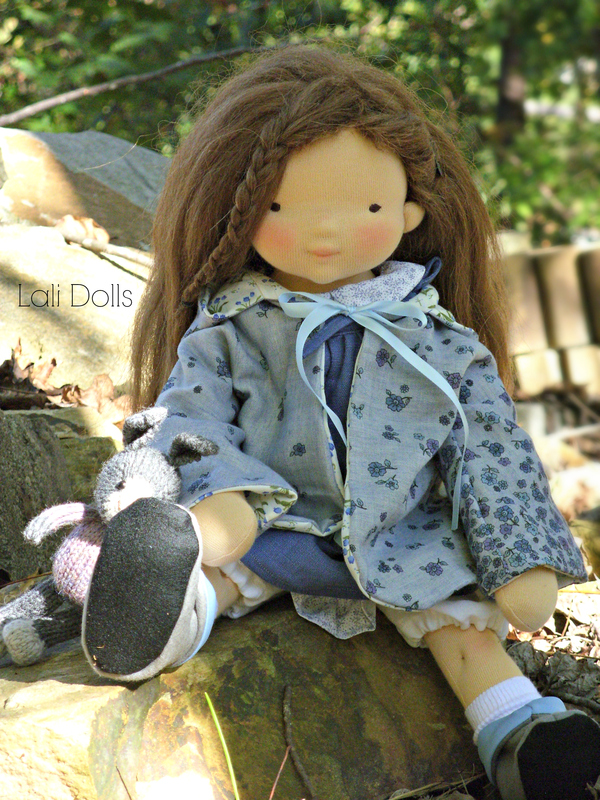 I would like to introduce you to the newest Dollectable Ready made dolly, her name is Lux. She is just as sweet as the smile on her face. She is one of those girls that lights up the room whenever she enters. 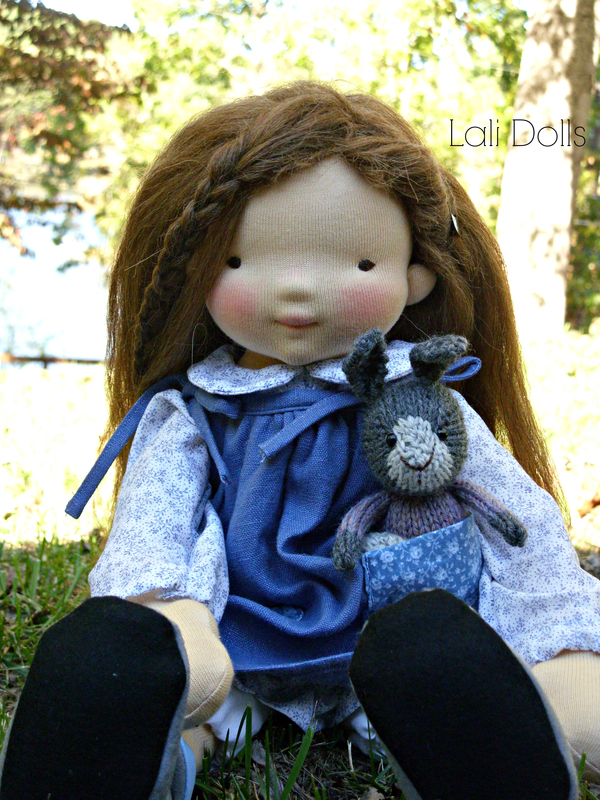 She has an adorable knitted friend (by Yarnigans) who she takes with her everywhere. My kids have these little bunnies too. All the little ones love them. Lux is really hoping to find a loving home for her and Rabbit. You can preview her listing now. The auction will be live on Nov 1st. in the Dollectable shop. Click here to preview auction.